How are you managing the stress in your life? I hope that you have integrated effective techniques as stress can have a devastating impact upon health. Moreover, it plays a large role in determining our lifespans. 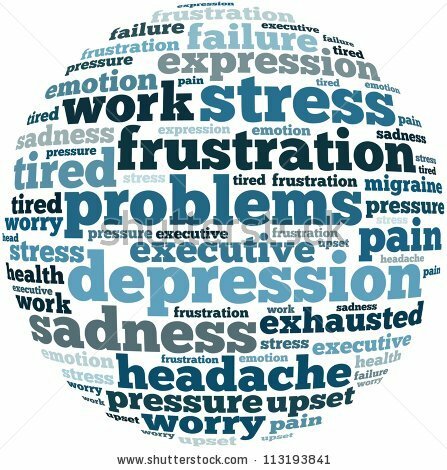 See the Post “The Devastating Effects of Stress” for more details. The last forty-five years of research has shown that the effects of social and cultural factors on disease are quite pervasive. According to Dr. Bradley J. Willcox, a geriatrician at Harvard Medical School in Cambridge, Mass., “some cultures cultivate lifestyles that predispose people to behavioral patterns, attitudes or values that lead to stressful lives, while others may inculcate values, attitudes and behaviors that lead to relatively stress-free lifestyles.” The Okinawans are a perfect example of the later culture. 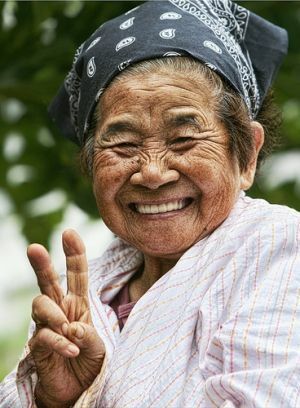 Successful stress management is the third factor of six that has been found to contribute to why the Okinawans have become the “Longest living people”. 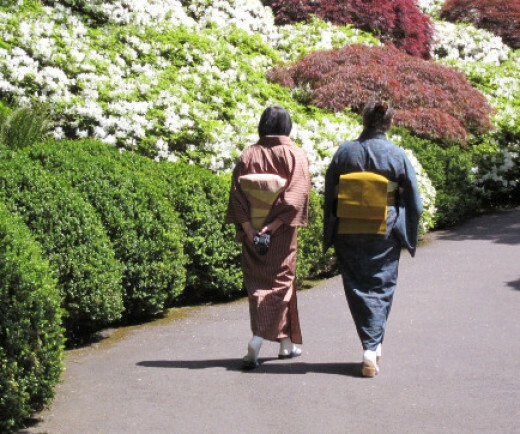 In this post, we will share methods that the Okinawans have used for centuries to manage the detrimental effects of stress. In fact I employed all of these techniques when I went through which should have been the most stressful time of my life. I can attest to the fact they were a major factor in the restoration of my health. And they can work for you. 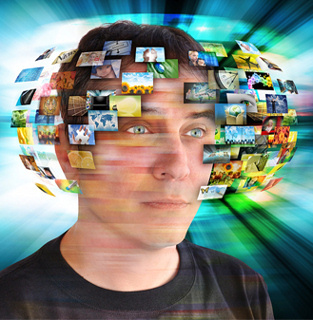 Unfortunately in North America, we live in the culture that is constantly feeding us stress-producing messages through “bleed and read” news, revelations of shocking social and political disorder, environmental disasters, racial tensions, rampaging serial killers, and other distressing, depressing, stressful hourly updates. Add to this shock treatment new technology that keeps us on email, Facebook, Twitter and unlimited internet overload and the Western preoccupation in multi-tasking. It’s no wonder 35% of American workers are chronically stressed. 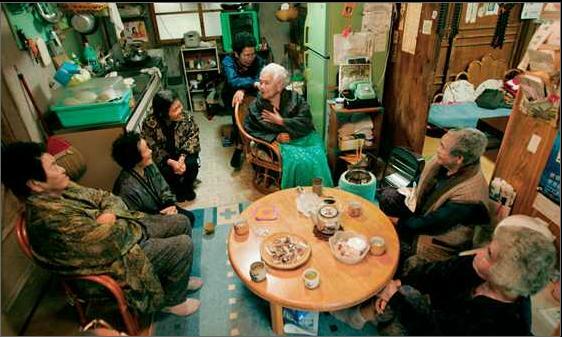 This is why it is so important that we learn from the Okinawans. The Okinawans have been blessed to grow up in a culture that has endowed them with what Dr. Willcox calls “stress resistant personalities“. 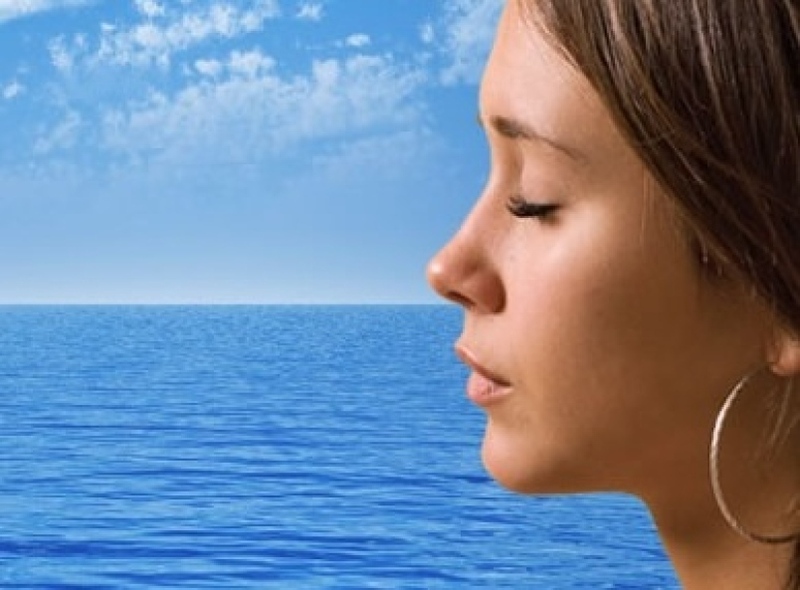 Dr. Willcox has been studying the Okinawans since 1994 and shares seven valuable traits that can help us to reduce the stress in our lives. 1) Taygay (The easy going personality): According to Dr. Willcox, for the traditional Okinawan “life simply unfolds at its own pace”. This is prompted by what the Okinawans refer to as Taygay which translates “easy going” or “laid back” personality. If an event is scheduled to begin at noon, people will start showing up 30 minutes to an hour later. It’s called “Okinawan time”. The stress that results from the hectic pace that Americans experience is non-existent in the Okinawan culture. 2) Ikigai (Strong sense of purpose): The Okinawans have developed through the generations a strong sense of purpose, called ikigai, or that which makes life worth living. 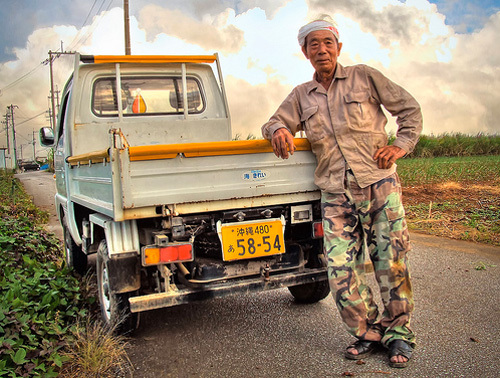 Older Okinawans can readily articulate the reason they get up in the morning. Their purpose-imbued lives give them clear roles of responsibility and feelings of being needed well into their 100’s. 3) Moais (Secure social networks): It is extremely important to Okinawans to keep family ties strong and foster close groups of friends. These safety nets lend financial and emotional support in times of need and give all of their members the stress-shedding security of knowing that there is always someone there for them. 4) Positive attitude: Smile! 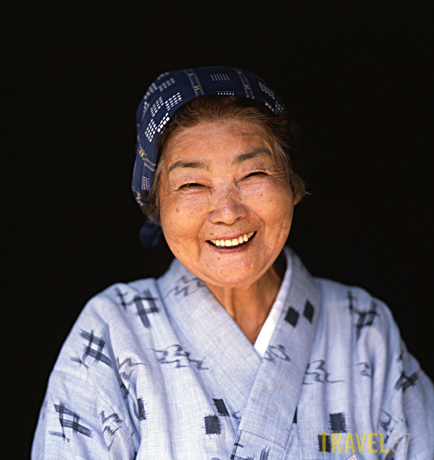 Okinawan centenarians embrace a positive outlook on life, in spite of or because of the hardships they endured throughout their lives. They’re able to let difficult early years remain in the past while they enjoy today’s simple pleasures. 5) Nan kuru nai sa (Don’t worry): An Okinawan saying is “Nan kuru nai sa” or “Don’t worry. It will all work out.” Okinawans are a very religious people. So, when Okinawans incur common stressors such as a job loss, loss of a spouse or parent, loneliness, financial issues they have “faith” that it will all work out. The key word here is faith. It is not ethereal but rooted in rock solid belief that is as tangible as the friends they love or the breeze off of the ocean. 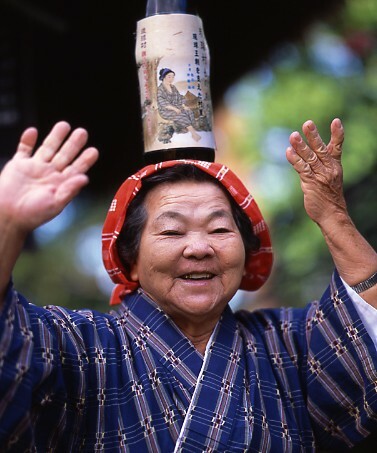 6) Exercise the Okinawan Way: Exercise is a very effective way to release stress. More time will be devoted to this in another section. But let’s just say that the Okinawans do not have gyms. There exercise is very practical but effective. 7) Meditation: Meditation helps to slow us down inside as well as outside. And it is said that the truly enlightened are able to extend their lives by decades. The end result is that by slowing down your life, you are able to reduce stress and its negative effects. In conclusion, you don’t have to be an Okinawan to develop these stress-free personality and cultural traits. Next time, we will share fifteen “practical” techniques that will help you to introduce the Okinawan Way into your lifestyle so that you can avoid the harmful and sometimes devastating effects of stress. Learning to pace our lives is well worth the journey. For life is a journey to be lived, savored and enjoyed. It is not a race to the finish line. In the Okinawan Way, the first one to finish loses; health and years. This entry was posted in Life Extension, Longevity and tagged Chronic Stress, Ikigai, Managing Stress, Meditation, Moais, Nan kuru nai sa, Okinawans, Reduce Stress, Stress Management, Taygay. Bookmark the permalink.